Sometimes you might want to display the filters in a tree structure. 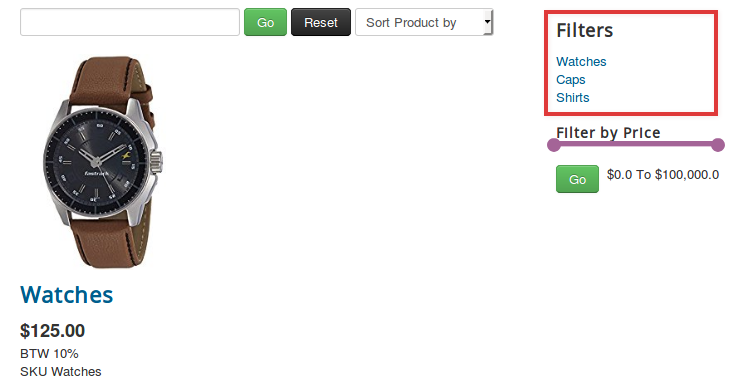 Or achieve a SEF URL for category filters. Here is what you can do to achieve that. Create a menu with the name filters. Create menu items with the names of categories. Add the menu items to the menu filters. Choose the menu filters in the option "Select Menu". Set the position to "j2store-filter-right-top"(Please note that you have to type this fully at the position field).